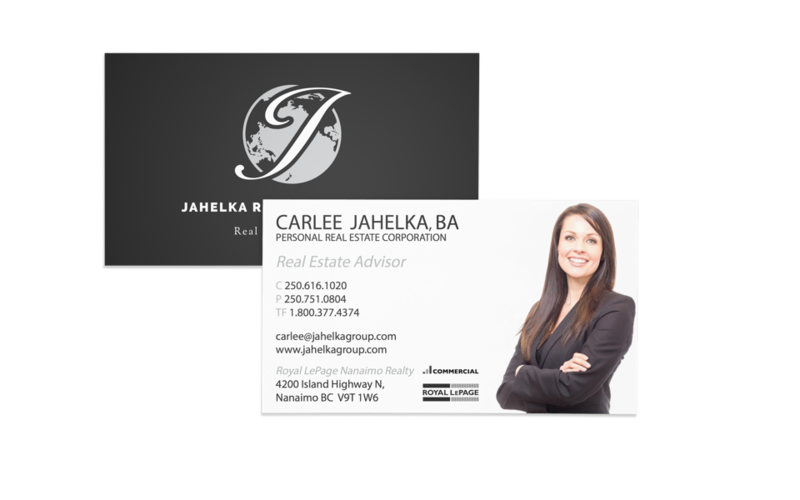 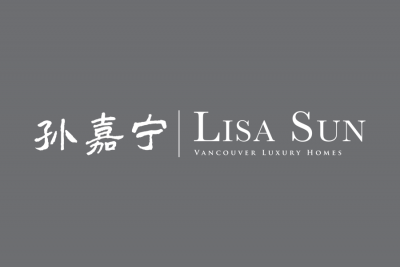 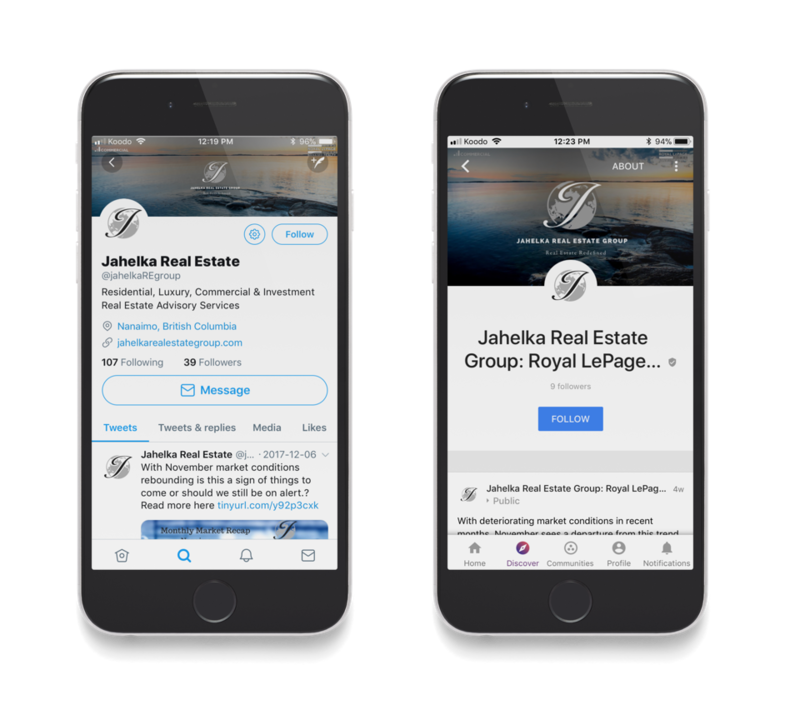 The Jahelka Real Estate Group is one of the most well-known, high-performing real estate teams in Nanaimo, BC (Vancouver Island). 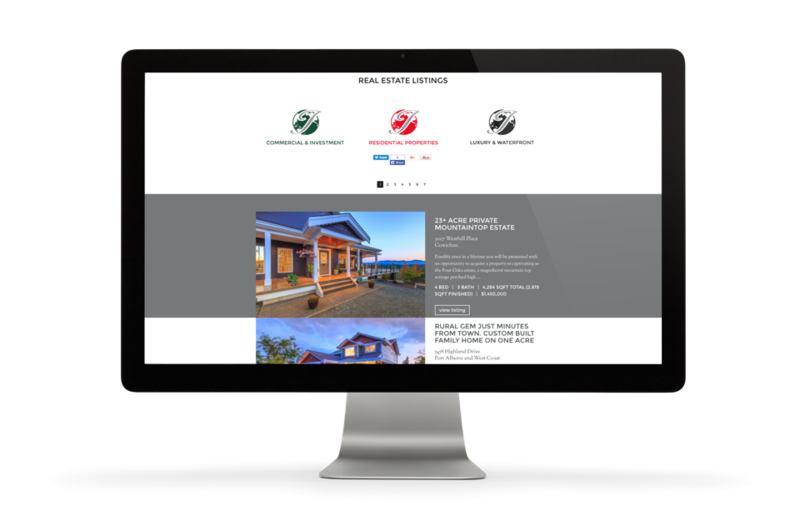 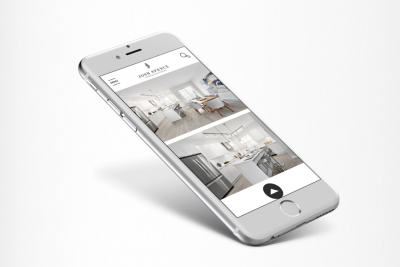 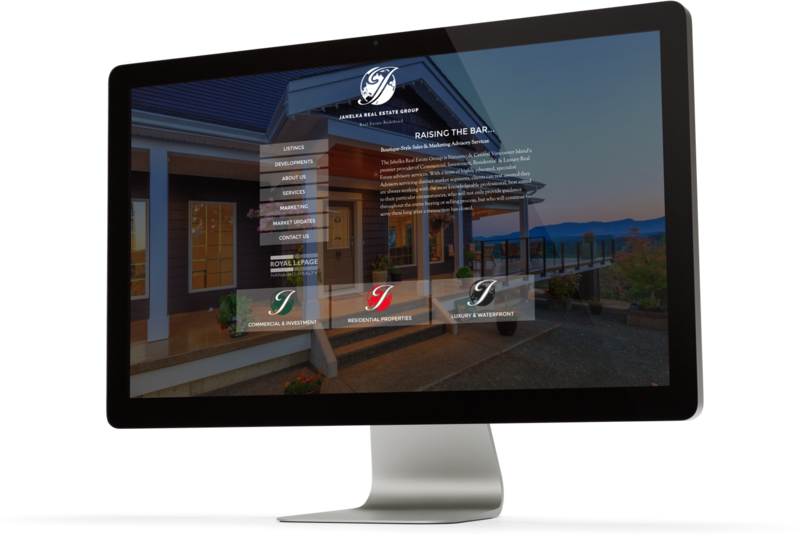 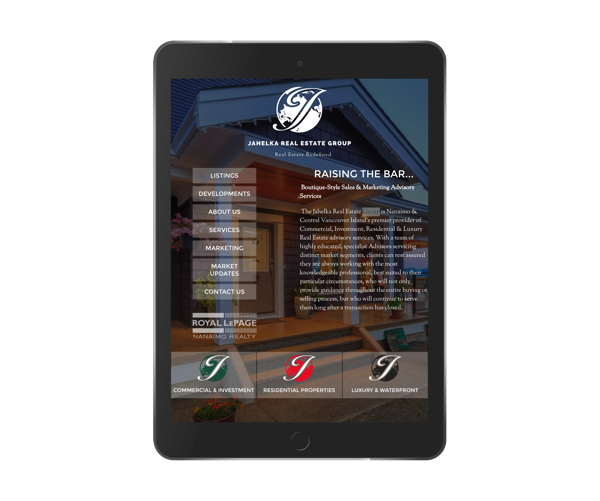 This was the first website that Brixwork has produced that integrates the MLS® Reciprocity data feed from VIREB (Vancouver Island Real Estate Board) and showcases both Residential and Commercial listing feeds through the IDX system. 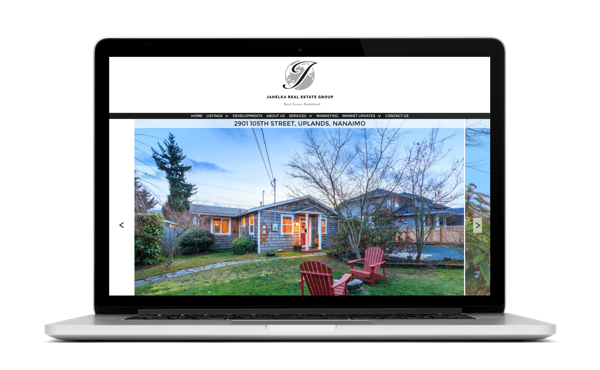 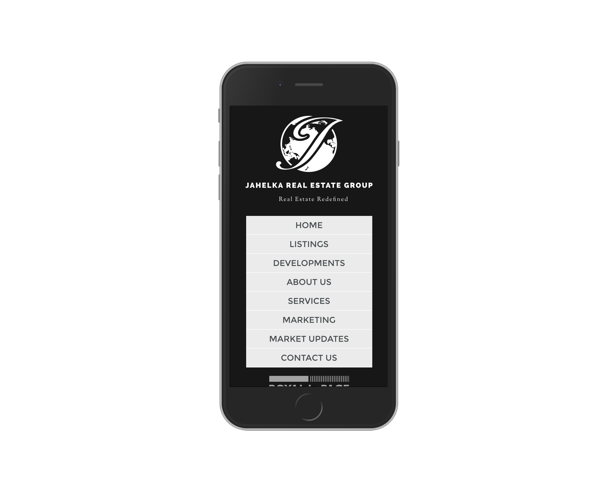 Featuring MLS® listings from Nanaimo, Campbell River, Cowichan and more from Vancouver Island, this website brings great value and resourcefulness to the Jahelka Real Estate Group. 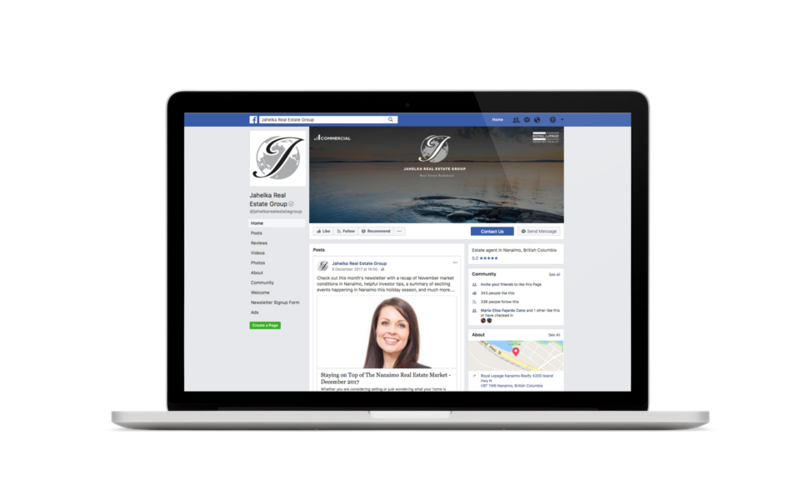 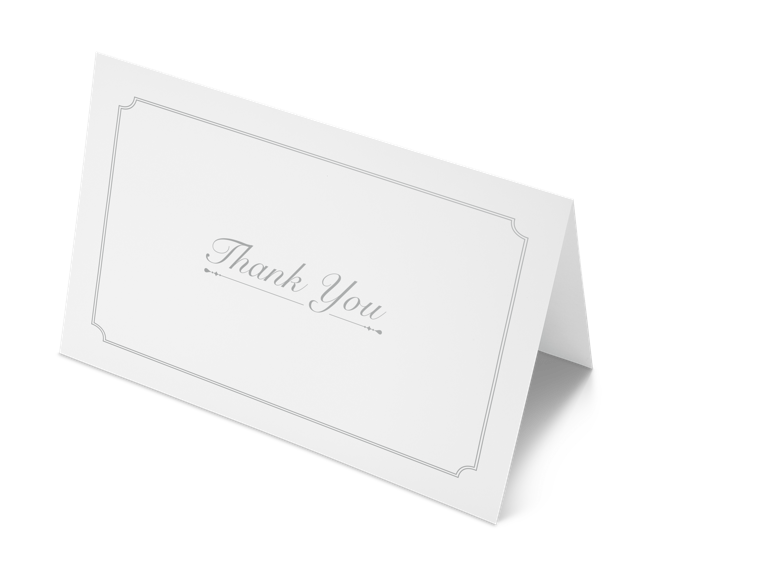 A great online impression should be followed up by great physical presence. 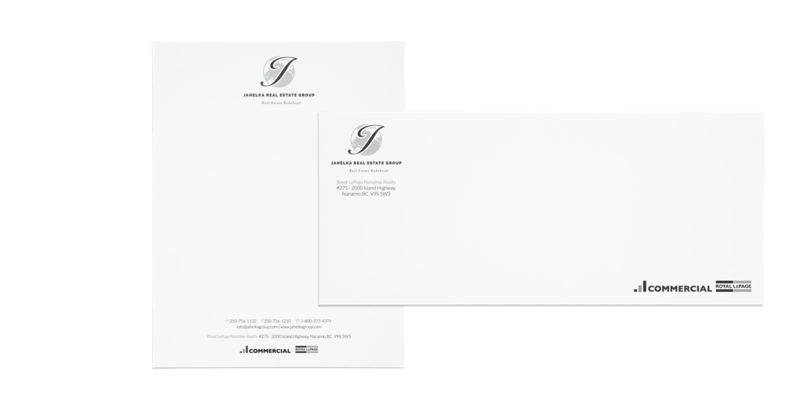 We’re talking about sharp business cards, letterheads, and other stationery items to carry you through the meetings & appointments! 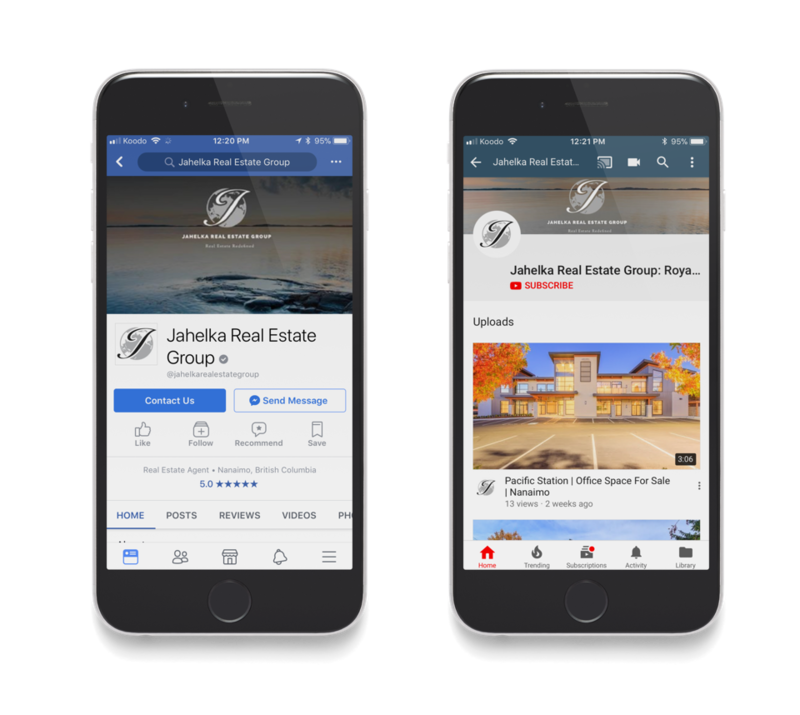 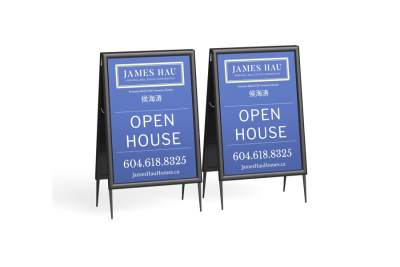 Custom designed Facebook banners and profile images to keep the brand presence consistent with your web presence & print media design is a critical element of modern real estate marketing.